February is the time for loving, and whilst we all know Valentines is where Cupid gets to work, National Love Your Pet day comes soon after. Whilst you can enjoy heart shaped chocolates and candlelit dinners, surprise your beloved animals with a durable, quick cleaning artificial grass lawn, perfect for as an active pets artificial garden. Trying to save dry or weed-filled grass can involve some pretty strong fertilisers or weed killers, which can sometimes be digested by your pets. With a lovely lawn all year round, your animals won’t accidentally consume something they shouldn’t! Whether your animal loves to lay in a specific spot or do their business in another spot, you won’t need to worry about trying to save this area! Artificial grass compacts and can spring back but if it is regularly compacted, it might need a bit of a brush up more regularly. It’s the same if you have garden furniture or play equipment. 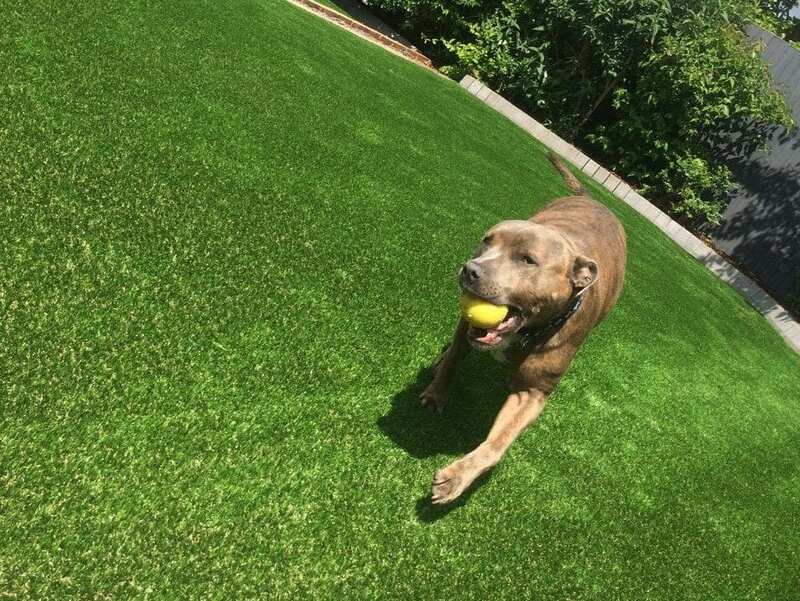 If your pets love to run, jump or dig, our durable artificial grass is made of plastic with a tough backing to withstand energetic paws. However, though very hard wearing, artificial grass cannot stop constant, heavy digging. 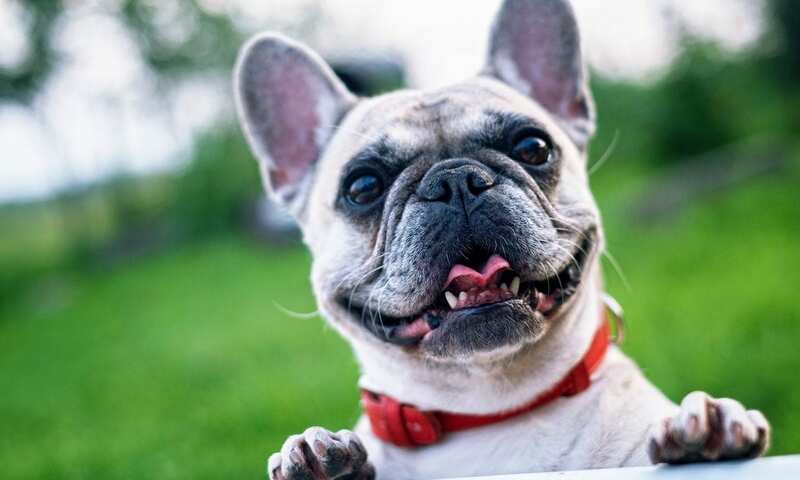 If your pet is a breed for which chewing/digging is a genetic behavioural characteristic, we suggest an area like a sandbox where dogs can play to their heart’s content. You can keep their toys in sections of the garden where you want them to play, and away from areas where you want them to avoid. Come wind, rain or sunshine, your pets can enjoy getting outside at any time of the year in any weather. No more being trapped inside on a rainy day and no more muddy paws that will ruin your carpet when they do get outside. Let love be the only smell! Regards to their *personal* business, you can keep the area smelling fresh and sanitary by washing these areas with warm soapy water. We also provide Trulawn Zeolite infill as an optional extra for dog owners who want to avoid any smells with their lawn. Find out more on Trulawn Zeolite and it’s benefits here! Trulawn grass is permeable, allowing pet urine to drain through and faeces to be removed easily and hygienically and unlike natural lawns, artificial grass fibres are not damaged by animal faeces or urine, so no more stains! Share the love this year by installing a Trulawn garden that can be enjoyed by the whole family. Whether you are suffering with a patchy, discoloured lawn or own hard concrete. Our Trulawn products are the perfect solution to get you into the summer spirit, and actually enjoy being outside!